The Half-Dipper: 2003 Menghai "Hong Kong Henry 7542"
2003 Menghai "Hong Kong Henry 7542"
With special thanks to HC, do come and join us for a tasting of the 2003 "Hong Kong Henry" 7542. Woo hoo for Hou De! 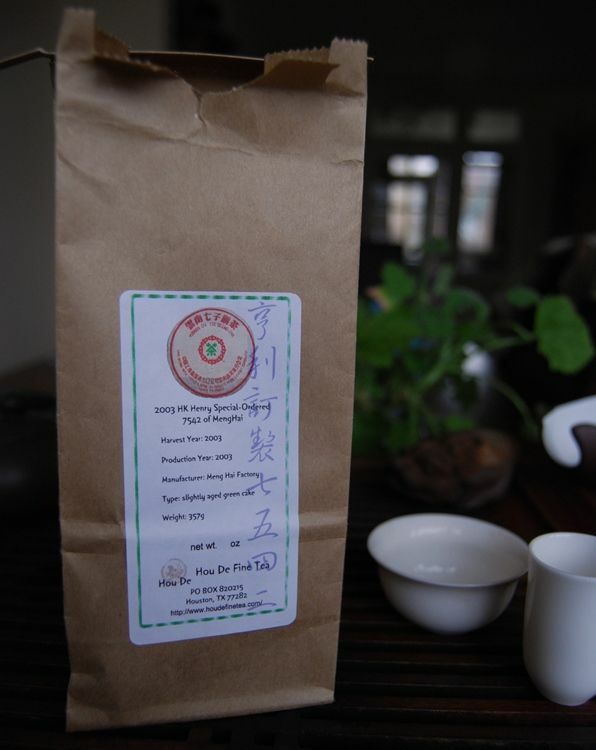 I have about 2 sessions left of the 2009 Winter Harvest oolong, which, now that it's dialed in, I'm rather enjoying! Look forward to a review. Hello there Hobbes. Funny timing. I was "filing" some old pu today and ran across my last mini-scrap of this. It made me wonder about your bit. Let's see how it goes down! Good luck, TontWR! I'm sure you'll enjoy it. It's aged into something rather lovely, and I'm very grateful to HC for the reminder.